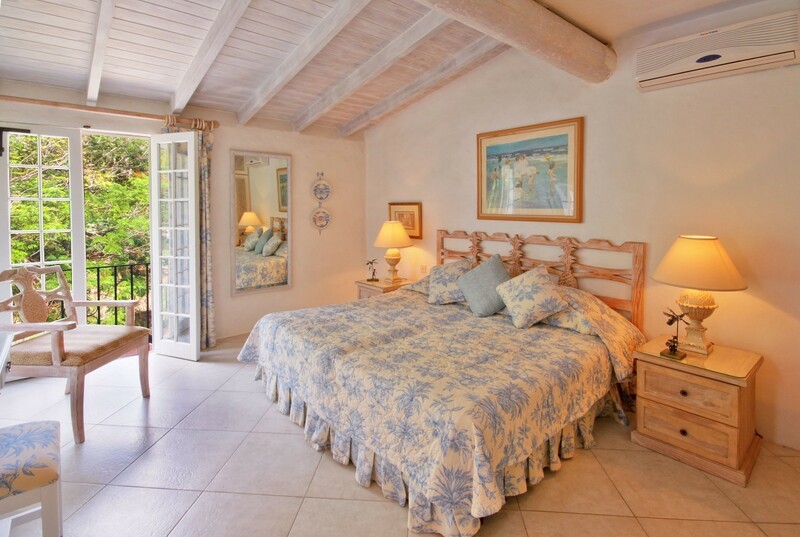 Does the idea of a villa-like accommodation along with the amenities and services of a resort appeal to you? If so, the sunny and bright Villa Glitter Bay 412 is a perfect choice. 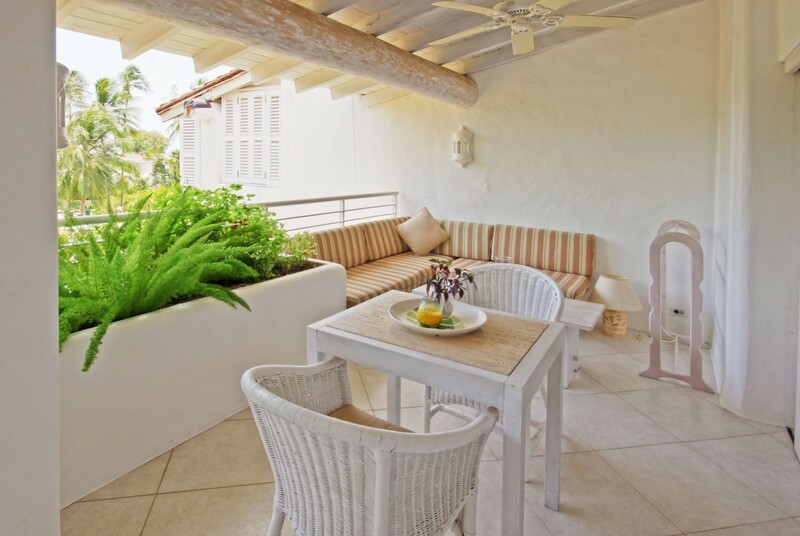 This premium, two-bedroom property sits high above the manicured gardens and exquisite swimming pool area of its private estate. 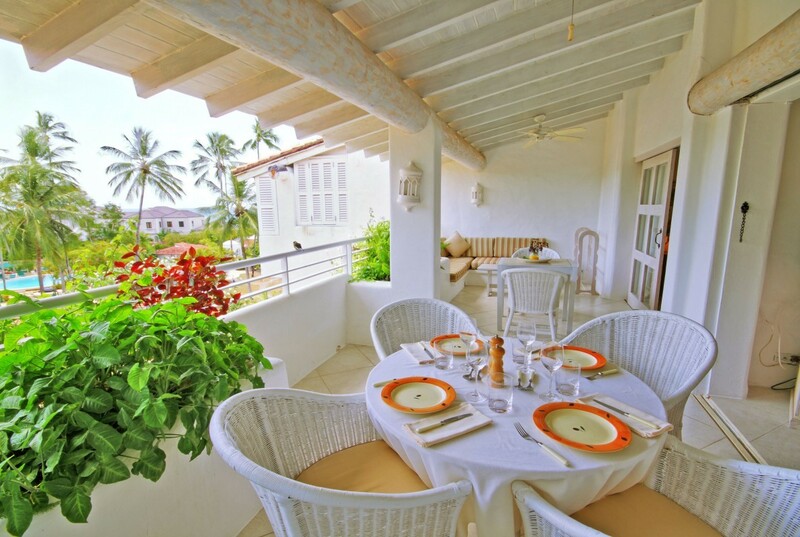 With westerly views of the sea, it is a wonderful option for a luxurious Barbados holiday. Part of the famous Glitter Bay Estate, the villa has exclusive access to one of the most beautiful beaches in the world. 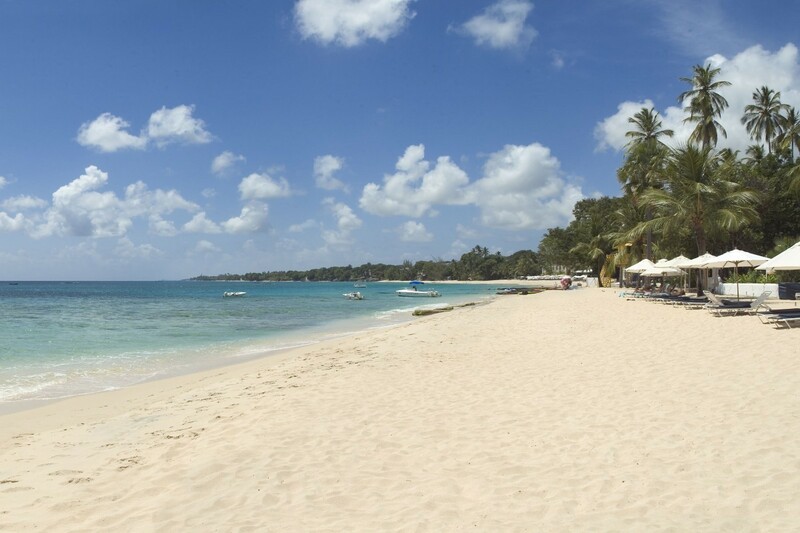 Sugary white sands are just a short walk through the manicured gardens, and once you reach the beach you will find a beachside bar with buffet and daily snack service. A dining terrace allows you savor your meals alongside the beach, and there is also an enormous, free-form pool with children's wading area and a waterfall. Tennis courts are open to visitors as well as the modern fitness center and fully-equipped playground. A focal point for the villa is the enormous verandah. 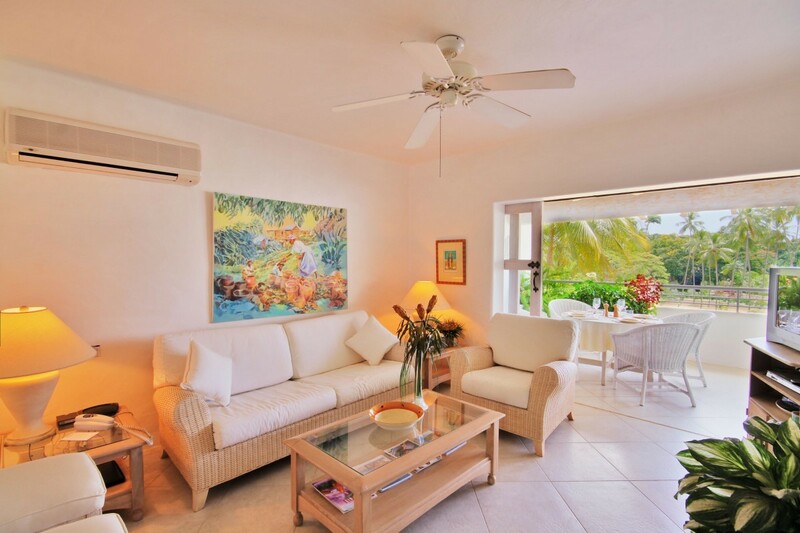 Situated on the fourth floor, it provides you with uninterrupted views of the property and the sea, allows you to savor the delicious breezes, and guarantees you get a fantastic sunset display each night. Savor it from your al fresco dining niche or in the comfort of your outdoor living room with banquette sofa. You can also enter through the oversized glass doors into the charming great room. This open floor plan space features a cheerful and colorful living room and entertainment system which backs up to the breakfast bar area. 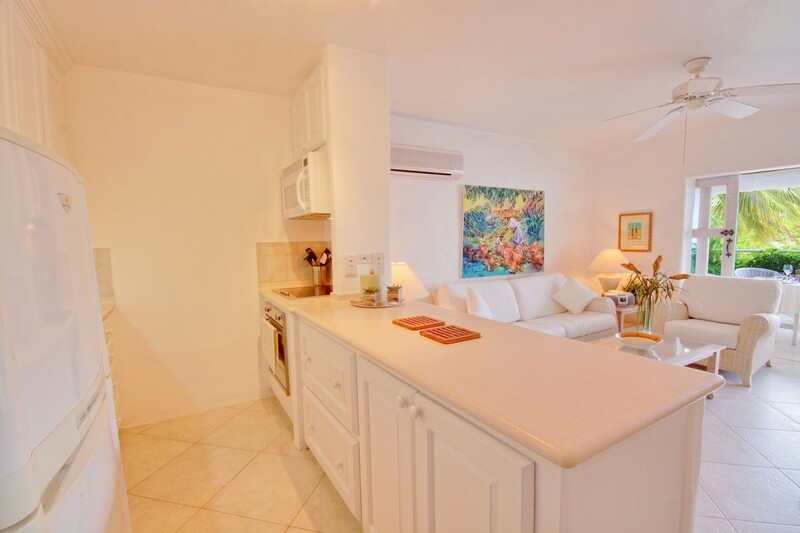 This opens into the full-sized, galley kitchen with its high quality appliances and generous work spaces making it a great place to make and enjoy meals. 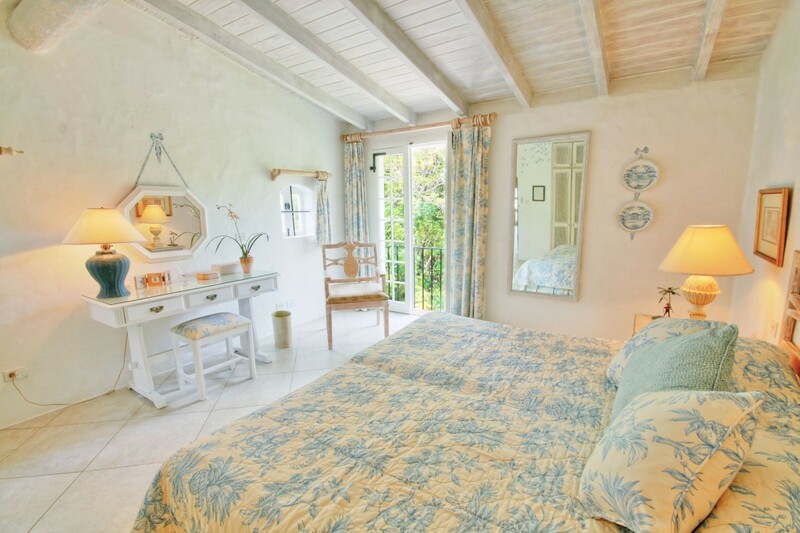 The two bedrooms each have balconies with garden views. One is a master suite with king bed and sitting area, the other is two twins or a king. Both feature large, ensuite baths and premium décor. 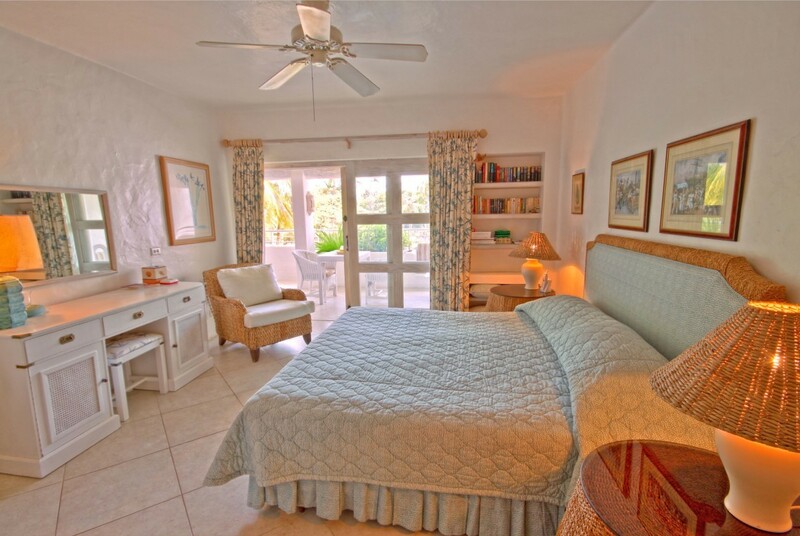 Whether it is for a family holiday or one with friends, the Villa Glitter Bay 412 is sure to please. Bedroom 1: Master bedroom with a king-size bed, A/C, ceiling fan and en-suite bathroom with bathtub, shower, double vanity and WC. 2 guests maximum. Bedroom 2: Bedroom with a king-size bed, A/C, ceiling fan, TV and adjacent bathroom with shower, vanity and WC. 2 guests maximum. Glitter Bay 412 is offering 15% off for travel between April 15, 2019 and June 30, 2019. "Isle Blue staff at all levels and at all times were brilliant! Lisa and Sue were wonderfully helpful finding us somewhere for a month and Fiona dealt with our calls rapidly, efficiently and with a great sense of humour. Thanks to everyone, you were great! "